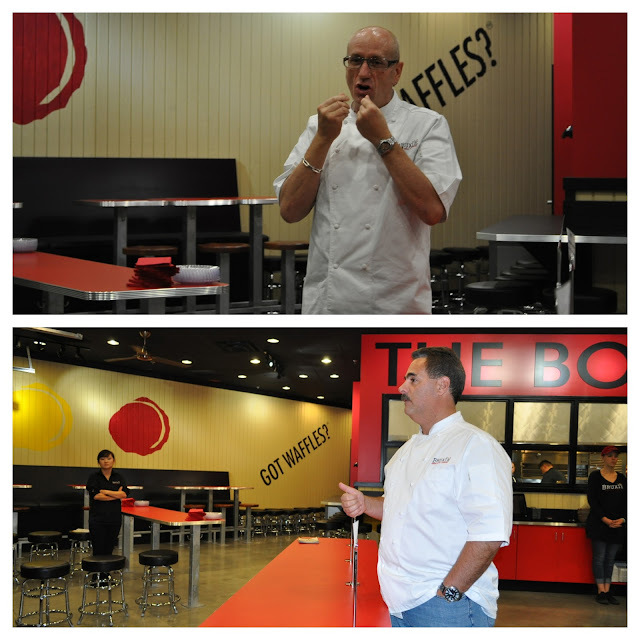 On Tuesday we attended a very special Media Tasting at the new Bruxie opening up at The Shoppes at Chino Hills. 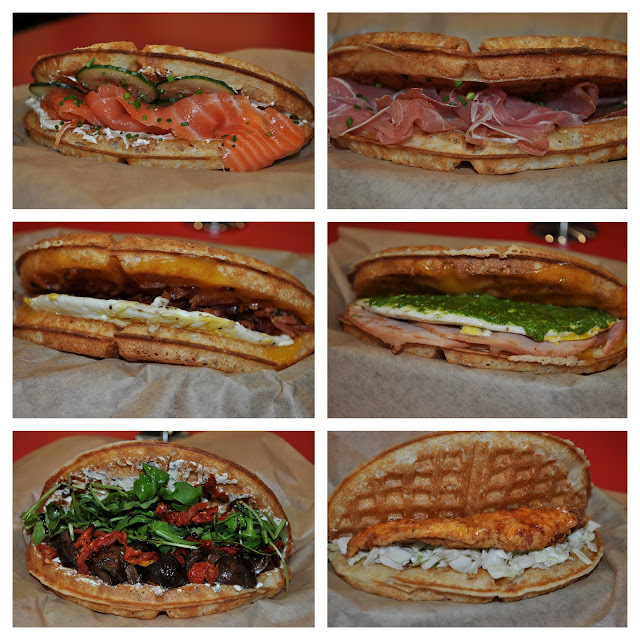 Already well established in the OC, Bruxie definitely will be making a name for itself here in the Inland Empire. The event kicked off at 5:30 with co-owners Dean Simon and Kelly Mullarney speaking with us about the origin of Bruxie and what makes them so special. Listening to these amazing chefs and owners really gave us a sense that Bruxie was the brainchild of some incredible individuals who wanted patrons to have access to amazing food. Paying homage to their childhood days, Simon and Mullarney's restaurants only carry 100% cane sugar soda that they helped to develop. With flavors like Spicy Cola, Grape, Orange and Black Cherry, these are sure to be crowd pleasers! We had the pleasure of tasting some of these sodas straight up and float style with the addition of authentic Wisconsin Frozen Custard. The marriage of these two was a beautiful thing to taste, especially their special, the Purple Haze, Grape Soda with Frozen Custard...it was like drinking the most delicious tootsie pop of your life. The shakes were out of this world. Their special right now is the Pumpkin Spice Shake which was essentially the Holiday season in a glass. Other favorites included the Chocolate Mint, Peanut Butter Chocolate (which Lili nearly died over), the Strawberry Shake (50% custard, 50% freshly macerated strawberries) and the oh so glorious Chocolate Shake. I brought my parents to the tasting and my Mom was in awe over how amazing this shake was. It was really unlike any Chocolate Shake we've ever tasted. Made with Belgian Chocolate, this shake is literally like drinking the best chocolate bar you've ever had. Now, we have to admit, when we got invited to this tasting we thought we'd only be tasting like one or two things off the Bruxie menu, but we were actually treated to almost EVERYTHING on the menu.Waves of Wafflewiches were brought to the tasting table, I think we had about 5 or 6 waves in all. All the samples were cut to about 1/8 of the total dish but even that was a lot! To be fair, we were forewarned to pace ourselves but of course, we got overly excited when we saw such amazing food and totally inhaled our samples. Some of the dishes we had were Green Eggs and Ham, Smoked Salmon & Dill Cream Cheese, Bacon Egg & Cheddar, Buttermilk Fried Chicken & Waffle, Prosciutto & Gruyere, and MANY more. 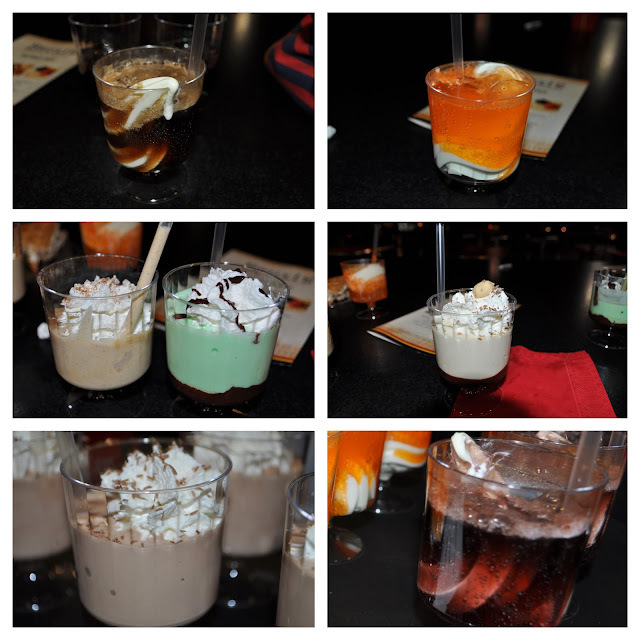 After the savory round we were pleasantly surprised by an incredible assortment of desserts! By the time dessert time came I was kicking myself for not having more control during the savory round, but I was determined to try these delectable looking desserts. 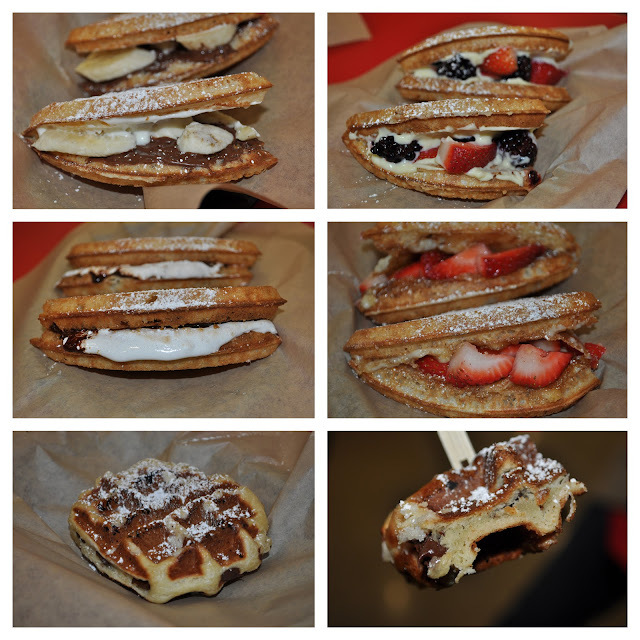 We were given Seasonal Creme Brulee, Nutella & Bananas, S'mores, Lemon Creme and Berries, Chocolate Filled Liege and the famous Wisconsin Frozen Custard.attending this media tasting, I can see why Bruxie is such a big deal in the OC. I have a feeling they're going to have enormous success at The Shoppes at Chino Hills. The major selling point of Bruxie (aside from the undeniably incredible food) is that nothing on their menu is over $10. Feeling like a burger for breakfast? Or breakfast for dinner? 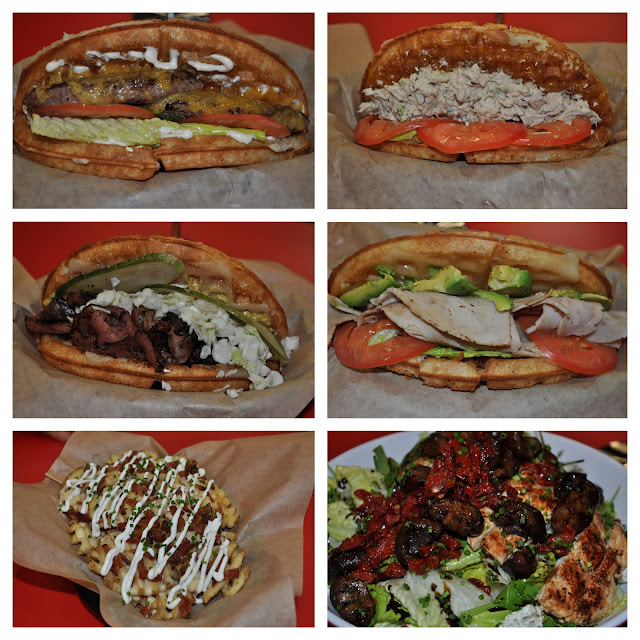 No worries, Bruxie's got you covered. Their entire menu is fair game when they open at 8AM and they serve breakfast all day!If you're in the Inland Empire or just happen to find yourself in the Chino area, be sure to make a special trip to Bruxie! It's sure to become the latest "it spot" in the IE!